Is sports betting headed to Virginia? 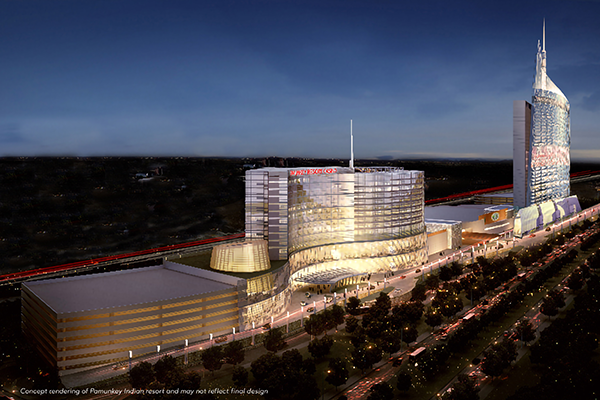 Odds could be improving for a major expansion of legal gambling in the Old Dominion. Traditionally, Virginia has been conservative toward gambling. But in recent years the General Assembly has begun to warm to new forms of gaming — and the revenues they can bring to the state’s coffers. This year, the legislature easily approved historical horse racing, becoming one of only five states to approve that type of gambling. 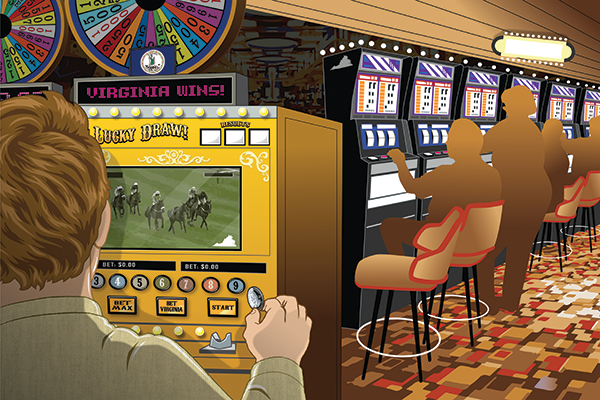 The slot machine-style games, which involve betting blindly on races that have already been run, will help bring live Thoroughbred racing back to Virginia with the reopening of a New Kent County racetrack. Last year, Virginia also became the first state to regulate online fantasy sports, in which participants draft fantasy teams based on real players. The fate of each team is determined by how the actual players perform on the field. Now, the commonwealth is presented with another possible choice — thanks to a recent U.S. Supreme Court decision that will dramatically expand legalized betting on all types of sports. Observers say sports betting has the potential to be a revenue generator for the state. Anticipating the Supreme Court’s decision, several states already had passed legislation paving the way for sports betting. By June, casino visitors in New Jersey and Delaware were placing bets on a host of sporting events, including the World Cup soccer championships and Major League Baseball games. Soon, gamblers in Pennsylvania, Mississippi, West Virginia, Rhode Island and New York should be able to make similar bets. The sports betting industry could be huge. U.S. sports wagering likely will produce $3.1 billion to $5.2 billion in annual revenue by 2023, predicts GamblingCompliance, a company that follows the global gambling industry. The demand certainly is there. 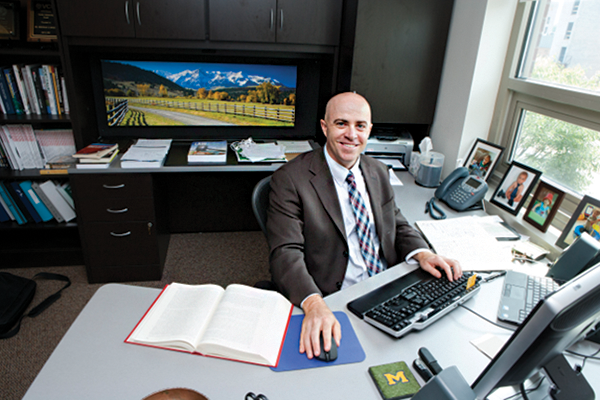 “There’s plenty of research to suggest that [sports betting is already] happening whether it’s illegal gambling or offshore gambling,” says Dwyer. Legalization would just drive more interest, he says. GamblingCompliance predicts that 25 to 37 states will approve sports wagering within five years. Because of its past reluctance to expand gambling, Virginia is not included among those states. On the other hand, neighboring Maryland is willing but has some obstacles to overcome. The gambling-friendly state is home to the $1.4 billion MGM National Harbor Casino, which opened across the Potomac River from Alexandria in late 2016. Nonetheless, the Maryland General Assembly this year failed to pass legislation allowing sports betting. Lawmakers could not agree on whether sports wagering should be allowed at horse racetracks in addition to Maryland’s six casinos. Sports betting also would require a constitutional amendment in Maryland, meaning the earliest it could appear on a referendum would be 2020. Sports wagering will look quite different in each state. Options include allowing betting terminals at casinos and racetracks, at retailers where lottery tickets are sold or at licensed bars. Some states will allow betting online and through mobile applications. 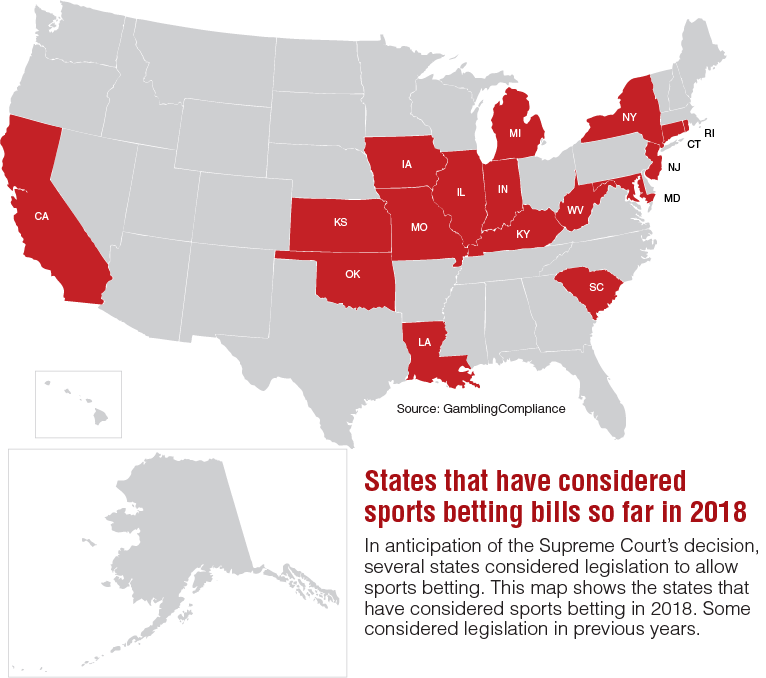 GamblingCompliance expects that at least 10 states will introduce legislation that would allow online gaming. In fact, many national fantasy sports groups already are adding sports betting divisions to take advantage of the expected growth of online betting. 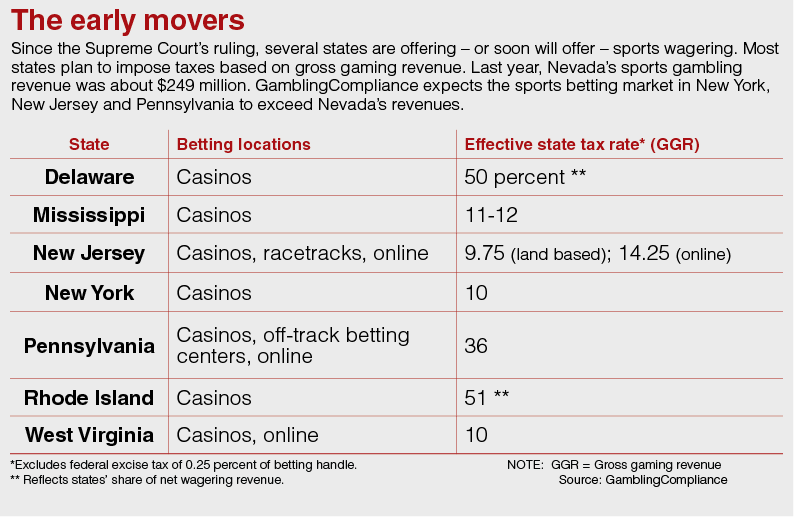 Taxes on betting also will be up to each state. The industry could bring increased revenue to state governments, but it wouldn’t produce a windfall for their budgets. Rhode Island, for example, recently passed legislation requiring that 51 percent of sports betting gross revenues go to the state. Its current budget anticipates receiving $23.5 million from sports betting, though it will have been legal in Rhode Island for only nine months. New Jersey expects about $13 million a year in tax revenue, but some observers believe that number is low. By comparison, the Virginia Lottery, whose profits are earmarked for K-12 education programs, had record profits of more than $600 million in the 2018 fiscal year. So far, Gov. Ralph Northam has not said whether Virginia should pursue sports betting. “Governor Northam believes any future proposal to expand sports gaming here in Virginia should be considered with the input of the General Assembly and the communities that will be impacted in order to fully assess the benefits and potential consequences for existing industries and businesses,” says administration spokeswoman Ofirah Yheskel. Even before the Supreme Court’s decision, the commonwealth was set to begin a new era in gambling. For decades, gambling had been restricted to the Virginia Lottery, horse racing and charitable games, such as Bingo. Now, the introduction of historical horse racing will add slot-style machines at the reopened Colonial Downs racetrack in New Kent and eventually at 10 off-site betting facilities. Revenue from that betting in turn will allow Virginia — the birthplace of legendary Triple Crown winner Secretariat — to again offer Thoroughbred racing at Colonial Downs. The 607-acre New Kent site has been shuttered since 2014. The previous owner closed the racetrack amid disagreements with regulators over the types and number of Thoroughbred races it could host. This year, Virginia became the fifth state to allow betting on historical horse racing, which also is called instant racing. Betting on these races has become crucial to the survival of the horse-racing industry. After the General Assembly passed legislation this year, Chicago-based Revolutionary Racing purchased Colonial Downs for more than $20 million. In historical horse racing, players place bets without knowing what race they are wagering on. Bettors can see stats on the horses, such as odds and past performances, without any identifying information. Terminals usually show a replay of the race, which is selected from a database of 60,000 races. Wagers are made through a pari-mutuel process, where players bet against a pool of players. Colonial Downs’ new owners want Thoroughbred racing to return to the track by next year. That timetable, however, is dependent on renovations at the track and the completion of regulations by the Virginia Racing Commission, which will govern historical horse racing in the commonwealth. A draft of the regulations says Colonial Downs could offer up to 700 historical horse racing machines at its racetrack, dependent on the number of live racing days it holds. Instant racing machines also will be allowed at 10 off-track betting centers (OTBs) around Virginia. Under the proposed regulations, the number of betting terminals allowed at OTBs would be based on population. For localities greater than 120,000, up to 700 terminals would be allowed. OTBs in localities with between 60,000 and 120,000 residents would be limited to 300 terminals, while smaller jurisdictions would be limited to 150 terminals. OTBs are allowed only in localities that have held referendums allowing off-track betting locations. Colonial Downs first wants to establish OTB facilities in localities where they already exist. Since 2015, four OTBs have offered betting on live horse races around the country on a smaller scale, offering a few betting terminals at restaurants in Chesapeake, Hampton, Richmond and Martinsville. 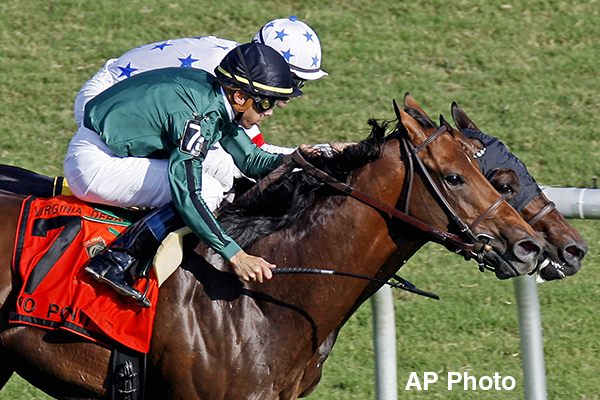 Those betting licenses have been owned by the nonprofit Virginia Equine Alliance (VEA). The organization was formed to support Virginia’s horse racing industry, which has declined since the closure of Colonial Downs. “It was important because the OTBs not only promote racing and get it in front of people, but also raise money for purses and for operational expenses for racing,” says Jeb Hannum, VEA’s executive director. VEA has agreed to sell its OTB licenses to Colonial Downs, giving the racetrack all 10 of Virginia’s OTB licenses. The racetrack and OTBs could be possible venues for sports betting if Virginia chose to allow that type of wagering. Regardless of whether sports betting gets serious consideration in Virginia, the state could see its first casino in the next several years. The Pamunkey Tribe, based in King William County, received federal recognition in 2015. Earlier this year, the tribe announced its intentions to open a $700 million resort featuring a casino, show venue and a 1,200-room hotel with indoor and outdoor pools. The tribe has purchased 600 acres in New Kent, but that is one of several sites it plans to put forward in its land trust application with the federal government — one of the first steps toward establishing a casino with the National Indian Gaming Commission. Under federal law, gaming at Indian casinos is limited to gambling currently allowed in the state. If a tribe wants to offer gaming such as slot machines and cards, it must negotiate a “compact” with the state. The compact, which establishes rules negotiated between a tribe and a state, also would determine state revenues received from the casino. While legalized betting can produce new state revenue, it also can result in gambling addiction. That should include money for preventative measures and treatment, says Hawley. Regulations also could require gaming operators to include limits on time and money spent by players and provide employee training on identifying problem gambling. Virginia does not have public funding dedicated to problem gambling services, including clinical treatments. In coordination with the Council on Problem Gambling, the Virginia Lottery funds a gambling addiction hotline. The phone number is printed on all lottery tickets. The lottery also holds public service announcements. Another concern is whether sports betting could incentivize cheating by athletes. That could be a threat especially in Virginia, where college athletics are more prevalent than professional sports. “I do worry about the college game — where athletes aren’t compensated the way professional athletes are — that there is an opportunity for someone that wants to control an outcome to get to a student athlete,” says Dwyer of VCU. But Dwyer says sports betting, when done right, can provide a positive social platform. If sports betting were to come to Virginia, he hopes it would take place at social settings rather than in online or retail locations.